How does Anti-Wrinkle ProVital Night Cream work? Intensively nourishes: its rich formula containing Vitamin E, Pro-Vitamin B5 and macadamia nut oil intensively nourishes and helps strengthen your skin's moisture barrier during the night, preparing it for the demands of the coming day. Regenerates: it enhances the natural regeneration process of mature skin surface and helps improve skin's elasticity. Skin that looks and fells more supple and revilatized! 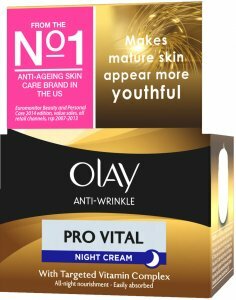 Olay Anti-Wrinkle Provital Night Cream for Mature Skin contains nourishing Vitamin E, Pro-Vitamin B5 and macadamia nut oil to intensely nourish and help strengthen skin's moisture barrier while you sleep. 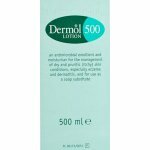 - Helps improve skin's elasticity and prepare it for demands of the day. 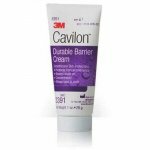 - Rich formula spreads easily and feels soft on skin. Every evening, nourish your skin by gently massaging Olay Anti-Wrinkle Provital Night Cream for Mature Skin onto face and neck. 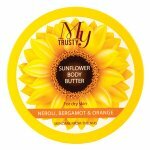 It’s rich formula spreads easily and gives you great feeling skin. For better results apply after cleansing with products from the Olay cleansing range. Use product only as directed. Do not get into eyes. If product gets into eyes, rinse thoroughly with water. 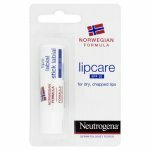 If skin or eye irritation develops, discontinue use. Aqua, Paraffinum Liquidum, Propylene Glycol, Cyclopentasiloxane, Glycerin, Polyglyceryl-2 Sesquiisostearate, Macadamia Ternifolia, Ozokerite, Petrolatum, Cetearyl Isononanoate, Panthenol, Disteardimonium Hectorite, PEG-22/Dodecyl Glycol Copolymer, Cetearyl Alcohol, Tocopheryl Acetate, Tocopherol, Retinyl Palmitate, Ascorbyl Palmitate, Lecithin, Beta-Carotene, Arachis Hypogaea, Dimethicone, Lanolin Acid, Allantoin, Octyldodecyl, PEG-7 Hydrogenated Castor Oil, Propylene Carbonate, Magnesium Sulfate, Phenoxyethanol, Parfum, Imidazolidinyl Urea, Aluminum Distearate, Glyceryl Stearate, Glyceryl Distearate, Ethylhexyl Stearate, Methylparaben,Propylparaben, Zea Mays, BHA, BHT, Benzyl Benzoate, Benzyl Salicyate, Citronellol, Coumarin, Eugenol, Geraniol, Hydroxycitronellal, Butylphenyl Methylpropional, Limonene, Linalool, Hydroxyisohexyl 3-Cyclohexene Carboxaldehyde, Alpha-Isomethyl Ionone.